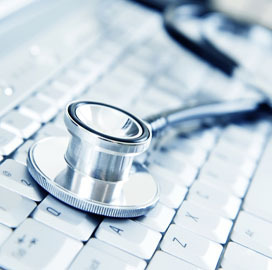 The Office of the National Coordinator of Health IT, or ONC, stated that they “should take steps to decertify products that proactively block the sharing of information because those practices frustrate congressional intent, devalue taxpayer investments in [certified EHR technology], and make [the technology] less valuable and more burdensome for eligible hospitals and eligible providers to use.” A series of questions have been submitted related to ONC’s budget and its intent to collect millions of dollars in fees from health IT vendors. When the authorization for the Medicare and Medicaid Inceantive program expires, under what statutory authority does ONC believe it is able to regulate Health IT and electronic health records, particularly in (but not limited to) non-Meaningful Use areas? The FDA is provided with the authority to regulate medical devices by the Federal Food, Drug, and Cosmetic Act. What similar authority does ONC point to, going forward, to participate in regulatory activities in coordination with the FDA and the FCC? To what extent does ONC’s NPRM on 2015 Edition EHR Certification represent a broader shift in focus from coordinating and promoting efforts related to interoperability, privacy and security, and quality reporting criteria, to the regulation of data collection, functionality requirements, and other areas where market forces are more likely to promote innovation and efficiency? What role does ONC plan to play moving forward on issues including, but not limited to, Health IT safety and EHR certification requirements? How will the recommendations of ONC’s Federal Advisory Committees guide these plans? Will ONC’s role be limited to the scope of these recommendations?